HARTSVILLE, S.C., OCT. 1, 2018 (GLOBE NEWSWIRE) -- Sonoco (NYSE:SON), one of the largest diversified global packaging companies, today announced it has completed the acquisition of the remaining 70-percent interest in the joint venture of Conitex Sonoco, a vertically integrated global leader in the manufacture of paper-based cones and tubes used in the textile industry. 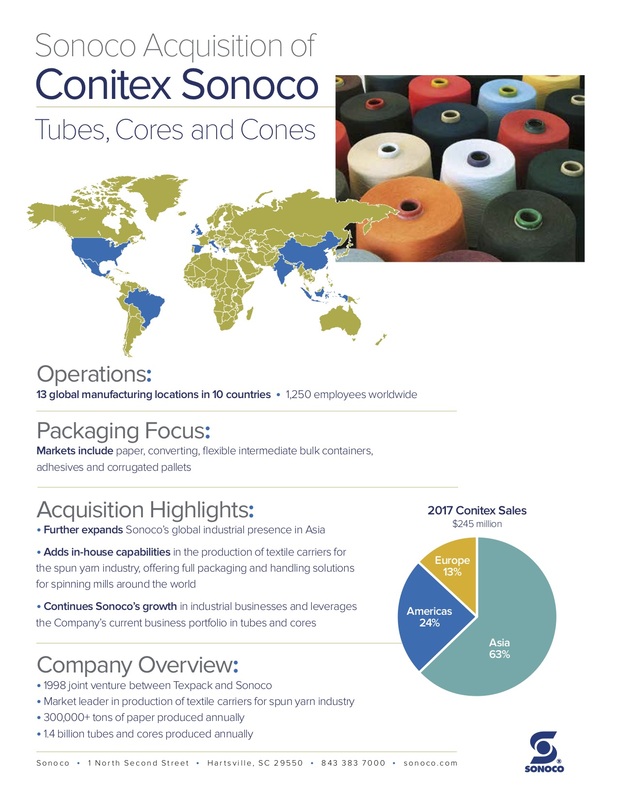 The Conitex Sonoco joint venture was formed in 1998 between Texpack, Inc., a Spanish-based global provider of paper-based packaging products,and Sonoco’s former North America textile cone business. Sonoco acquired the remaining 70-percent interest from Texpack, Inc., along with a composite can plant in Spain for $143 million in cash. 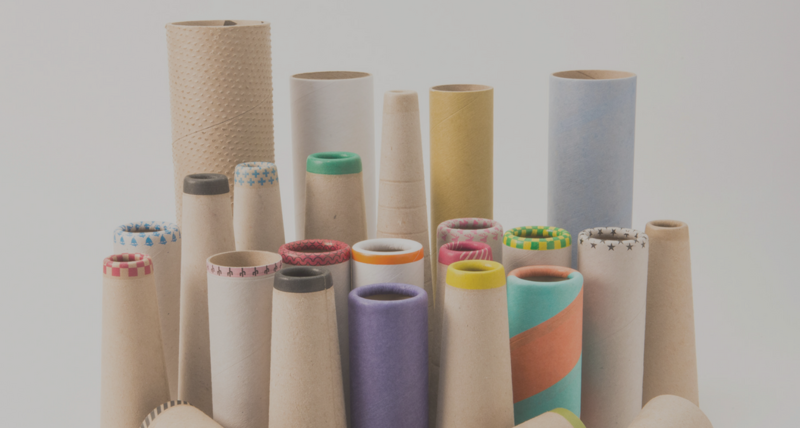 In 2017, the joint venture produced total sales of approximately $245 million and produced more than 300,000 tons of uncoated recycled paperboard, which was used to produce approximately 1.4 billion tubes and cones for the global spun yarn industry. The joint venture has approximately 1,250 employees and 13 manufacturing locations in 10 countries, including four paper mills and seven cone and tube converting operations and two other production facilities. Conitex Sonoco’s Chief Operating Officer Michel Schmidlin and members of his global leadership team will remain with Sonoco, and there are no expected changes to customer relationships. Conitex Sonoco’s financial results will be reported within Sonoco’s Paper/Industrial Converted Products segment and the Spanish composite can operations reported in the Company’s Consumer Packaging segment.